Cross-Layer reliability: a reality or a promise never coming true? 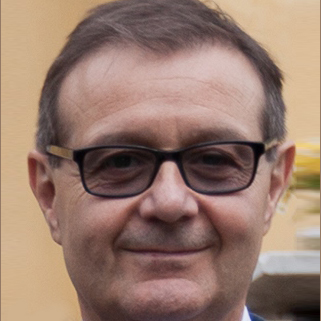 Stefano Di Carlo is an associate professor in the department of Control and Computer Engineering at Politecnico di Torino (Italy) since 2014. He holds a Ph.D. (2003) and an M.S. equivalent (1999) in Computer Engineering and Information Technology from the Politecnico di Torino in Italy. 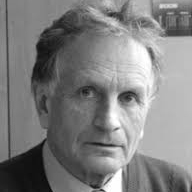 Di Carlo’s research contributions include Reliability Analysis, FPGA Design, Memory Testing, Reliability analysis of NVM memories with ECC, Design for Testability, Built-In Self-Test, Fault Simulation and Automatic Test Generation. 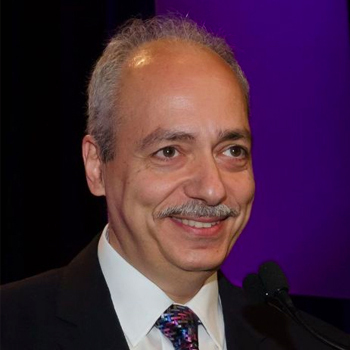 He has been part of the program and organizing committee of several IEEE and ACM conferences and he is member of the Editorial Board of Springer Journal of Electronic Testing: Theory and Applications and of the IEEE Computer Society Letters. He served as reviewer of the IEEE Transactions on Computers, IEEE Transactions on Computer-Aided Design of Integrated Circuits and Systems, IEEE Transactions on VLSI, IEEE Software, and several other IEEE/ACM journals. Di Carlo coordinated the European FP7 CLERECO project on "cross-layer reliability analysis for the computing continuum". Di Carlo is a Senior Member of the IEEE, and a Golden Core Member of the IEEE Computer Society. Dr. Zoran Stamenković is a scientist at the IHP GmbH, Frankfurt (Oder), Germany. He acquired his PhD degree in electronic engineering from the University of Niš, Serbia in 1995. Dr. Stamenković has published more than 130 scientific book chapters, theses, journal papers and conference papers, and given more than 25 invited talks in the field of design and test of integrated circuits and systems. 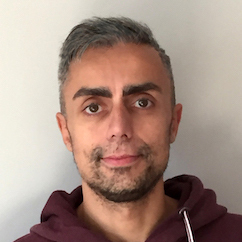 His research interests include hardware/software co-design, SOC design for wireless communications, fault-tolerant circuits and systems, and integrated circuit yield and reliability modelling. He serves as a program committee member of many scientific conferences (among them DDECS, IOLTS, EWDTS, MIEL, and TELFOR). Dr. Stamenković was the general chair of DDECS15 and the program chair of DDECS18. He is a regional editor of the Journal of Circuits, Systems, and Computers and a senior member of the IEEE. A comprehensive approach at the device, circuit, and system levels to the design, implementation, integration, and verification of reliable systems on chips will be exercised on three examples: a middleware switch processor for internal satellite communications, a baseband processor for RF-MIMO wireless LAN transceiver, and a MAC processor for industrial wireless communications. The high reliability of the middleware switch processor has been achieved exploiting radiation-hard devices, redundant circuits, latchup protection switches, and power gating. An RF-MIMO baseband processor which uses an innovative spatial multiplexing in the analog domain has been designed and verified to increase the reliability of the physical communication layer. The reliability of industrial wireless communications has been increased introducing a novel MAC processor purely implemented in hardware. Science and Education: Doctor of Science, Professor of Faculty Robot Planes of MAI, Chief of the Department Diagnosis, Reliability and Fault-Tolerant Systems at V.A. Trapeznikov Institute of Control Scienses of Russian Academy of Sciences, Chief Researcher. Author of 100+publications, 10 patents. Member of Editorial Staff of Journal "Automation and Remote Controle", Web Journal "The Big Systems", Member of ICS RAS Scientific Counsil, Member of Dissertation Counsils at ICS RAS and MPE Institute. Member of IEEE Computer, Aerospace and Electronic Systems, Reliability System, Communications Societies. R&D fields: Design and Test of Computers, System Networks of Computers and Local Control Systems, Computer Pattern Recognition, Fault Tolerance Systems. Awards and Prizes: Honoured man of Science and Industry of Russian Federation, Gold medal of the Radioelectronics Academy of Sciences. Social Activities and Hobby: Hikes over all corners of Soviet Union and Russia, Down Hill skiing, Country side Racing Skiing (some 90 50 km marathon racings), canoe travels. The behavioral models of nonlinear dynamic systems are constructed with using the sets of input and output signals as well as taking into account information (knowledge) about these systems. Depending on the volume of a priori assigned knowledge, three levels are distinguished, namely, “white, grey and black box”. The less volume of information about a dynamic system is known, the darker an investigated object is getting. The reasons of turning to the “black box” methodology are the following: the functional complexity of dynamic systems, the high level of the system integration, lack of the knowledge of system parameters and characteristics, new high requirements to the parameters and characteristics of precision technique. The approximation of non-linear dynamic system operators by way of describing the input-output relationship with the help of mathematical models is considered. A neural network is one of famous mathematical models. The types of neural networks are represented as the universal approximators of non-linear operators. The classification of recurrent neural networks according to the feedback location is described. The recurrent Hammerstein network is used as a mathematical model of a non-linear compensator for digital communication channels. The source of non-linear signal distortion in communication channels is a power amplifier. It is found that the model of a non-linear compensator in the form of the recurrent Hammerstein network exceeds the two-layer perceptron network in the accuracy of signal processing and the Volterra polynomial in the simplicity of hardware implementation. Elena Solovyeva received her M.Sc., Ph.D. and D.Sc. from Saint-Petersburg Electrotechnical University “LETI”, Russia in 1987, 1990 and 2002, respectively. Prof. Elena Solovyeva is the Head of the Theoretical Electrical Engineering Department and the Academic Secretary of Saint-Petersburg Electrotechnical University “LETI”, Russia. She is the Full Member of Russian Academy of Electrical Engineering Sciences. 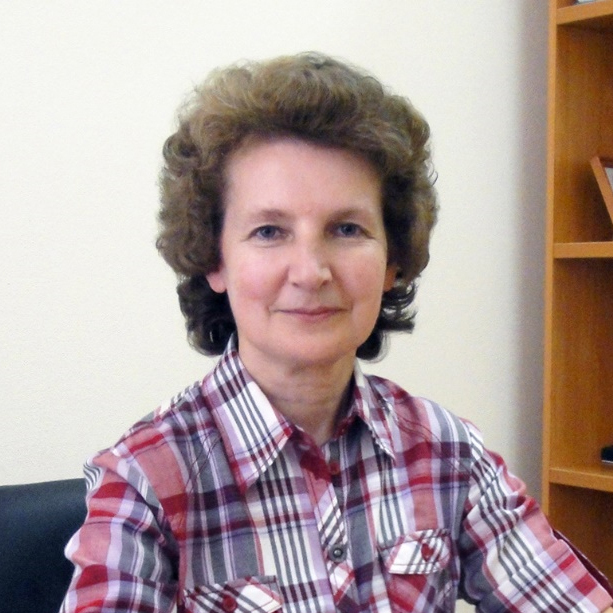 Prof. Elena Solovyeva is the member of three dissertation counsels specializing in “Mathematical modelling, numerical methods and program complexes”, “Electrotechnology” and “Systems, networks and devices of telecommunication”. Elena Solovyeva was awarded the Certificate from Ministry of Education and Science of the Russian Federation and the Medal “For Contribution to Electrical Engineering” from Russian Academy of Electrical Engineering Sciences. She has over 200 publications including 6 monographs, 32 textbooks. In 2004, 2006, 2008, 2009 Prof. E. Solovyeva was awarded research grants according to the joint program “Mikhail Lomonosov” of Education and Science Ministry (Russia) and the German Academic Exchange Service DAAD (Germany) to scientific investigation fulfilled in Otto-von-Guericke University of Magdeburg (Germany). From 2009 to 2014, Prof. Elena Solovyeva had the contract with Huawei Technologies Company (China) devoted to the synthesis of digital predistorters for the linearization of power amplifiers in communication systems. Since 2010, Prof. Elena Solovyeva has been taking part in the joint program of Saint-Petersburg State Electrotechnical University “LETI” and Technological Institute of Xuzhou (China) for education of Chinese bachelors. Her research interests include identification, modelling and synthesis of non-linear analog and digital systems based on functional series, multidimensional polynomials and neural networks, as well as digital signal processing, the synthesis of digital non-linear filters, compensators, equalizers and other non-linear devices.